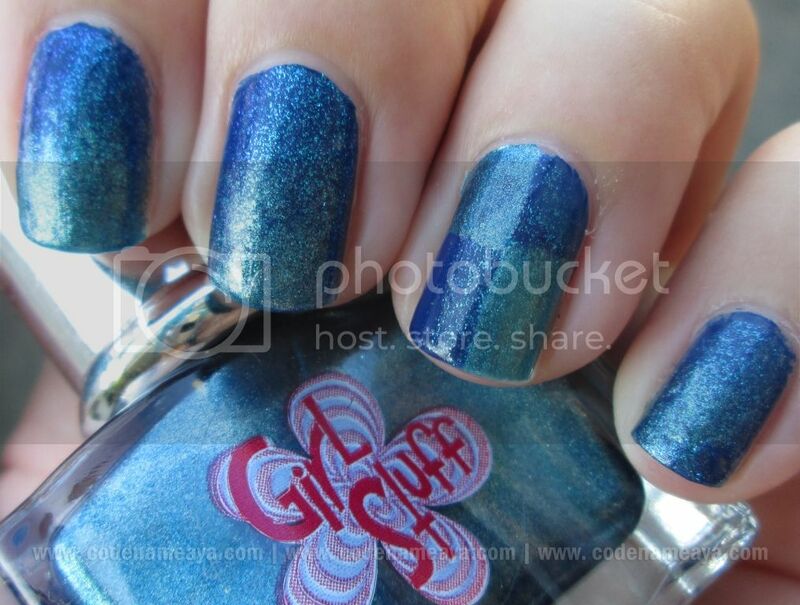 Girl Stuff Nail Polishes - New Favorite! I know I've been going on and on and on about these nail polishes on Facebook and Instagram. I got introduced to the brand Girl Stuff a just a few months ago, but it actually had been around for years already. Girl Stuff doesn't only carry regular nail polishes but also washable polishes (for the kids) and even magnetic polishes (new). 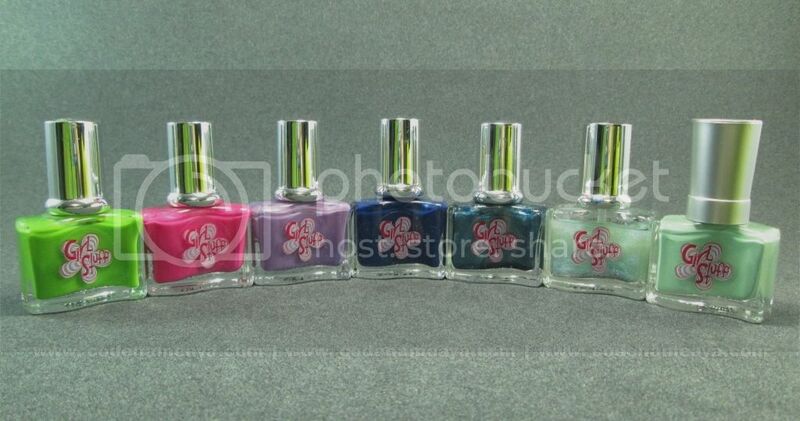 These nail polishes are made in France and imported here to the Philippines. 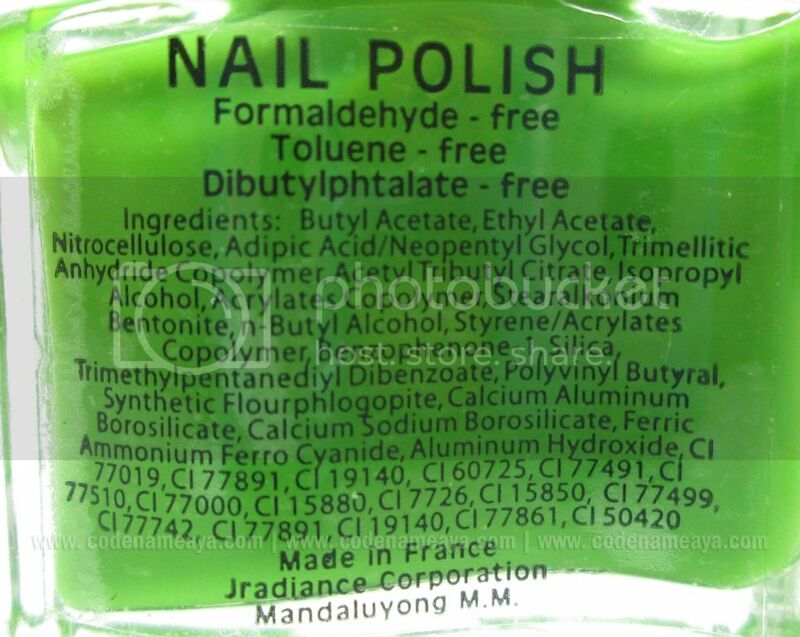 One of the great things about GS nail polishes is that they are free from the so-called 'Big 3' potentially harmful chemicals that are usually found in nail products - toluene, formaldehyde and dibutyl phthalate. Another thing that I like about these nail polishes is their packaging. As you can see, the bottles are not like the typical ones with the circular base, making these ones easier to store! They take up less space in my organizer when placed together side by side. I currently have seven shades from their regular polish line. These nails polishes have pretty nice formula - not too runny, not too thick. They go on smoothly, and they're not streaky. It usually takes me two coats to get a nice, even finish. Some of the shades are opaque enough for my liking in just two coats, but some are sheerer than others. These don't chip easily as well, and they don't leave my nails yellow like other local brands' nail polishes. I still use a base coat, though, just to make sure. My favorite shades so far are Avo Loco, Pretty Pink, Lov Lav and Jade. Ahhhh, such nice shades, they are! 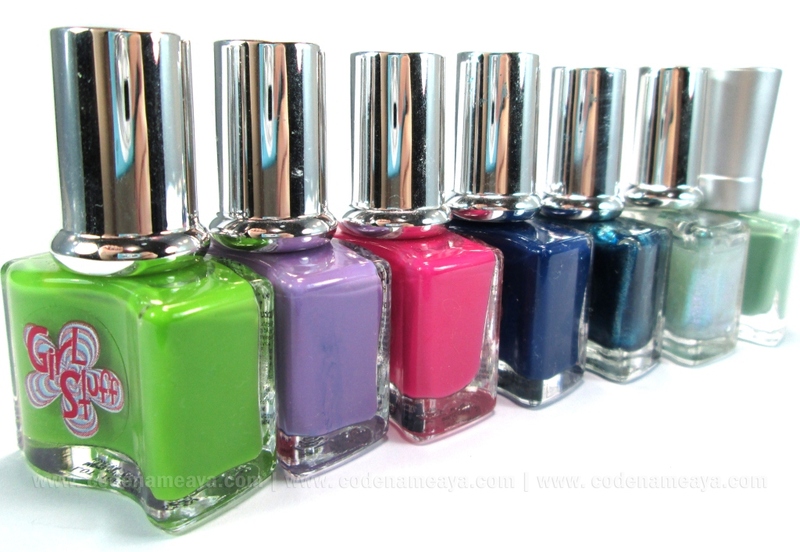 You might be wondering now how much these nail polishes are and where you can get them. Don't worry, these are pretty much affordable at P100 per bottle for the solid colors and P140 for the highly frosted/glittery ones. They're available at SM and Rustan's department stores (Children's Accessories section) and at the Girl Stuff nail polish kiosks at SM North, Megamall and MOA. Disclaimer: Products were sent by the brand but the views and opinions expressed in this post are purely mine and based on my own experience with the products. 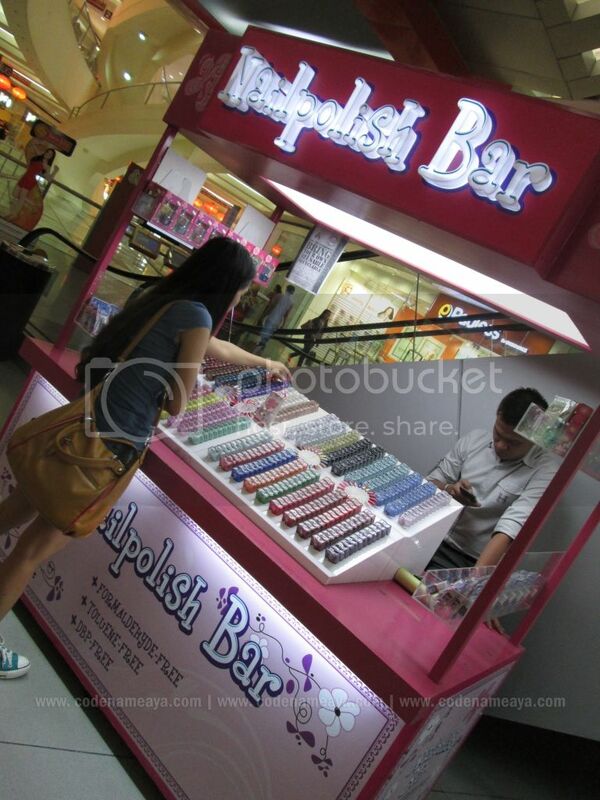 Haha sabi ko na nga ba si Eyah yun e. Dapat Aya maging model na ng nail polish brand yang mga kamay mo. Super perfect ng nails and ng nail polish application. Ah, ito pala yung sa SM North, sa tapat ng Dairy Queen sa The Block. I'll check this out! I saw this sa SM North before. They have pretty colors nga and sabi nung staff, same quality na daw as Orly. cute! stackable bottles I love it! Waaaa~ I want to buy Jade pero wala talagang free time to go to Manila e. Ang cool din nung shape ng bottles nila... And I thought I saw na rose ung design ng magnets nila? Waaa~ Can't wait to see your post about that. 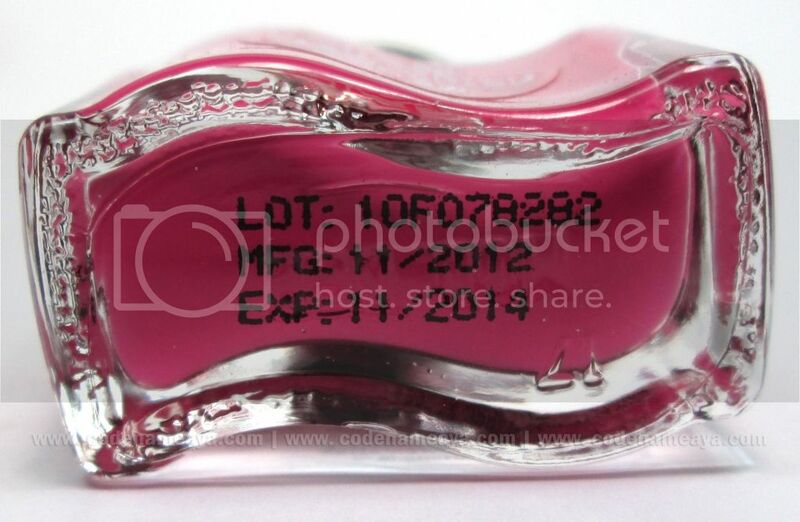 the nail polish looks looks so girly! fun and neon must have for summer! Not much a fan of the packaging :| But the color selection are a lot so I think that's cool! :) And for the price, can't complain much about the packaging. How long does it last on the nails before it chips and fades?